Instagram is widely known for one thing: engagement. Promoting brand awareness and marketing on Instagram isn’t a strange concept. 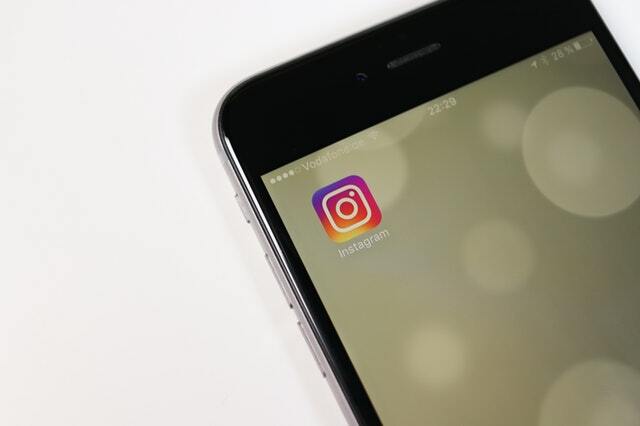 Since the world has seen Instagram’s rise to fame, more social media marketers since 2016 have been turning to the popular site to sell their products and services. So you have your followers — 10,000 and counting, you know how to build an aesthetically pleasing Instagram feed, and you are adept at using Instagram Stories to your advantage. But how do you measure your Instagram marketing progress? How do you know the impressions your posts leave on your clients? The answer to your concern is an Instagram Analytics tool. Why do you need to measure your Instagram marketing? Data is an important resource in marketing. It’s no different when we talk about marketing on social media. So when you start an Instagram marketing campaign one of these days, remember that data aggregation is a great help in determining the right marketing moves. Using Instagram analytics tools lessen the need for the ‘trial-and-error’ approach, enabling you to make better decisions and swiftly hone in on the best options for your goals. Many will argue that the native Instagram app is enough for analytics. But while Instagram Insights is extremely useful for providing information about when your followers are on Instagram, and what your top posts are, the native app doesn’t provide in-depth data that is sufficient for serious marketing campaigns. For deeper measurement, you’ll need to look for new tools that show you detailed and historical data as well as statistics aggregation or data reporting. It would’ve been good to separate these two, but Sprout Social bought Simply Measured last December 2017. Sprout Social gives its users easy-to-read reports. It monitors your brand’s performance on Instagram; from which post got the most engagement to how your audience is growing. An editorial calendar: Schedule new content across other social media platforms — aside from Instagram. The Instagram competitor analysis report: You can add your competitors, and then you can track their audience growth, top hashtags, publishing frequency, comments, and more. Simply Measured, on the other hand, provides even deeper analytics than Sprout’s — Instagram Story stats included. It’s nice knowing how many people viewed your Instagram Story, but for a business looking to increase brand awareness, information on Instagram Story engagement is useful. With Simply Measured, you can see how many of your followers saved your post; how many replied, tapped forward, tapped back, or exited. An advanced analytics tool like this doesn’t come for free, but you can always take the tool for a spin with a free trial to preview all the features before you decide to invest on it. Real-time tracking: Keyhole tracks your hashtag on Instagram — which makes it real helpful for companies who are running time-limited campaigns, social media contests, or other similar marketing efforts. Keyhole also shows its users the top posts containing your hashtag; the posts that generated engagement, related hashtags and keywords and more. It’s a good tool that helps you make decisions and measures your Instagram marketing quite well, too. User-generated content is as important to marketing as your own posts. And Squarelovin is the best analytical tool to use for that. The tool enables you to collect user-generated content, and analyzes its performance to boost your results. Analysis: It’s like any other analytical tool where you’ll find the number of views, clicks, and monthly data summaries. Optimization: Their content optimization offers insights that inform the user about the worst and the best times of the day to post. This proves to be especially valuable information. Filter impact: If you’re using different filters on Instagram, you can also see the impact those filters have on your followers. Social media marketing doesn’t just require outstanding content and strategy, it needs monitoring. Tools that measure your Instagram marketing exist to tell you what you’re doing right, and what needs more improvement. With analytics tools, you can find out what drives your followers to patronize your brand — know what they’re interested in. Quick insights are now made readily available, and they exist so you can take action, update your strategies, and grow your follower base even quicker. There are definitely more Instagram analytics tools out there. Tell us your favorite in the comments below. Al Gomez is the President and Founder of Dlinkers -- a company dedicated to providing complete digital marketing services. With more than ten years of experience, he enjoys supporting smartpreneurs like himself to achieve online success.